1. The effort and energy behind every product is evident by the natural flavor and color achieved through the special handling of the hand-harvested fruits and vegetables to create an exceptional product. 2. Customer Service – our commitment to servicing orders promptly and correctly for our customers and keeping them informed of the status of their shipment are outstanding. 3. Cheri’s produces and sells only the highest quality products. We stand behind everything we sell with a money-back satisfaction guarantee. 4. We supply our wholesale customers with recipe suggestions and point of purchase materials to help spread the word about Cheri’s products and increase sales. 5. Due to the years of being in business as well as the volume of products shipped, Cheri’s is able to negotiate for lower shipping rates that are passed on to the customer. 6. We notify our wholesale customers about our Seasonal Specials to generate customer interest and increase sales. 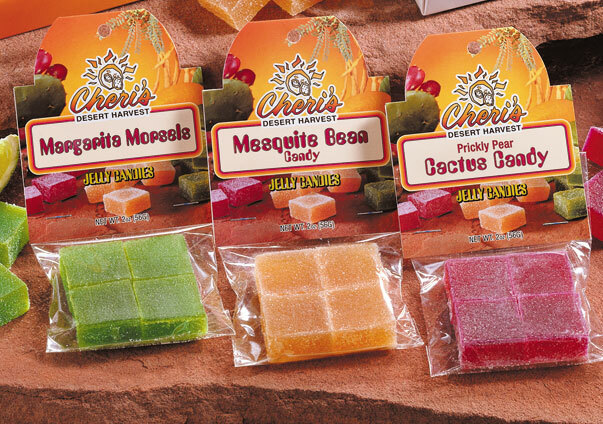 Opening a wholesale account with Cheri’s Desert Harvest is easy. Monday – Friday 8:00 – 5:00 MST. Or, you can email questions or comments to shipping.cheris@gmail.com. Payment – Prepay by credit card at time of order. Credit terms are available for qualified customers. Pricing – Prices are subject to change with every effort to notify you prior to the changes. Shipping & Handling – Cheri’s Desert Harvest ships wholesale orders via Fed Ex ground commercial. Multiple shipping options are available to suit your needs. Case Packing – Our wholesale products are shipped in case quantities; however, at no additional charge, we are able to split cases to allow our customers the opportunity to offer a variety of product options to their customers. Product images – Images of individual products and featured dishes made with our products will be available in RGB JPEG format for informational purposes only. All images are the property of Cheri’s Desert Harvest and may not be reproduced without express consent.